Pythagoras coined the word “kosmos” to express the harmony and order that composes the breathtaking beauty of the Universe. Kosmos is a Greek word that relates to adornment and ornament. What made him describe the Universe in such a way? Perhaps he looked beyond the quantity of numbers and saw the quality of them. Although beauty is in the eye of the beholder, what makes something or someone aesthetically pleasing is usually defined by balance, harmony and symmetry. Symmetry in the strictest sense of the word is beauty as a result of balance or harmonious arrangement. And what can be more beautiful than the Geometry of our Universe from the very tiniest atom to the mindbogglingly breathtaking galaxies and supernovas! 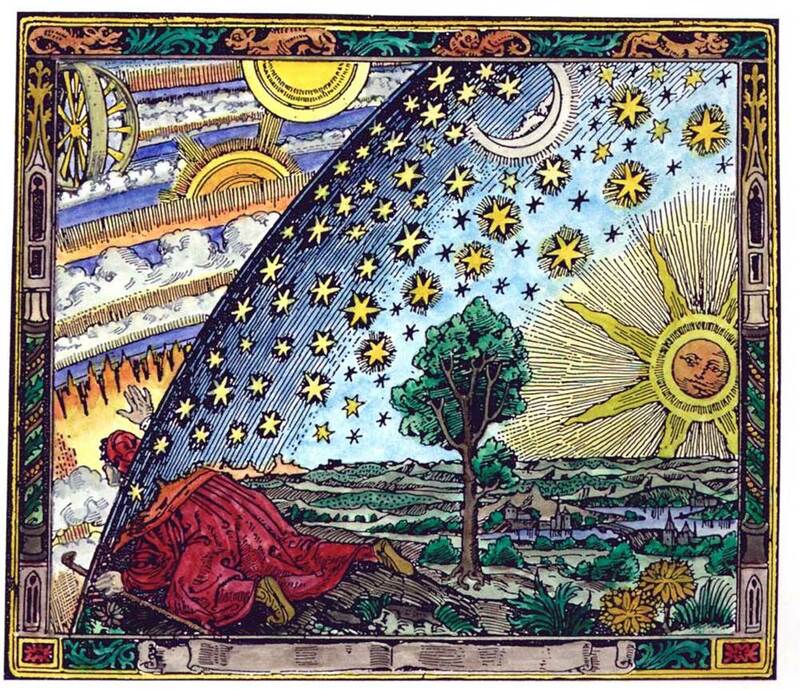 Connecting the splendor of the galaxies and everything contained within them to definite mathematical laws is an exercise in mind expansion and illumination. It forces the seeker to peek under the veil of our mundane, illusory existence into the realms of the Divine. From the very start we must consider the zero as it is symbolized as an empty circle or ring containing …nothing. Is it chaos? The No Thing? Ain? Endless Darkness? Can the human mind comprehend it? 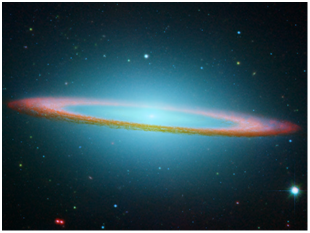 And if we twist the ring it gets even more mind-boggling as we consider the idea of infinity. Perhaps the best place to start is to put something in the ring and call it the Monad, the Unity, or Universal Spirit. 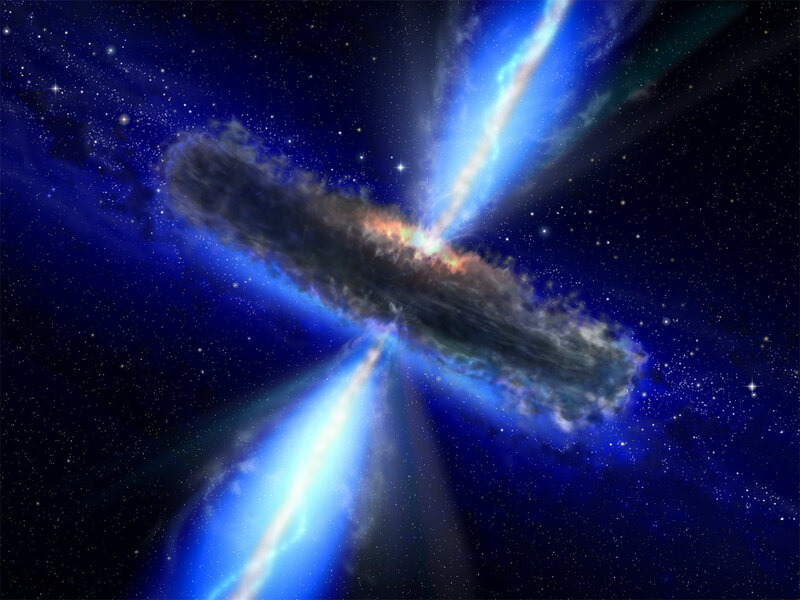 The omnipotent force which created a spectacular spiraling, spinning light show of atoms, molecules, planets, stars, solar systems, galaxies, etc. all with precision, balance and Harmony, defies comprehension! Yet, Pythagoras and many other visionaries demonstrated, through the use of mathematics, a way to comprehend these things which are limited only by the imagination. The circle or sphere with a dot in the middle is often used to represent the Monad or the One; the source of all things. A dot in the middle denotes the Divine spark or Universal Spirit. A ring with a dot also represents the Sun and is the alchemical symbol for Gold. Many cultures use the symbol of the eye or the Cosmic Egg to represent the Most High. The ‘One’ is also identified with intellect or reasoning because it is unchangeable and it engenders all the others. But how did the One become the Many? 1 x1 =1 but when One mirrors or increases itself as in 1+1, it becomes 2; the duality or polarity. 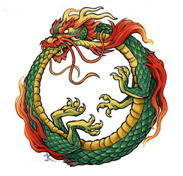 The Ouroboros symbolizes the eternal nature of the One that is always regenerating itself while simultaneously exhibiting duality as one end consumes the other. And the Cosmic Egg shows the serpent spiraling around It indicating the spiral nature of creation and growth as well as the male generative force. It is the duality that is the knower and the known, light and darkness, Father and Mother, Spirit and Matter, positive and negative, good and evil, right and wrong. It is the Brahma (reality) that generates the Maya (Illusion). Or does the Maya create the Brahma? This dual concept can be described as two circles which create a Vesica Piscis and enables a line to be generated between the two points. The One describes a point and the Dyad describes a line of polarity. 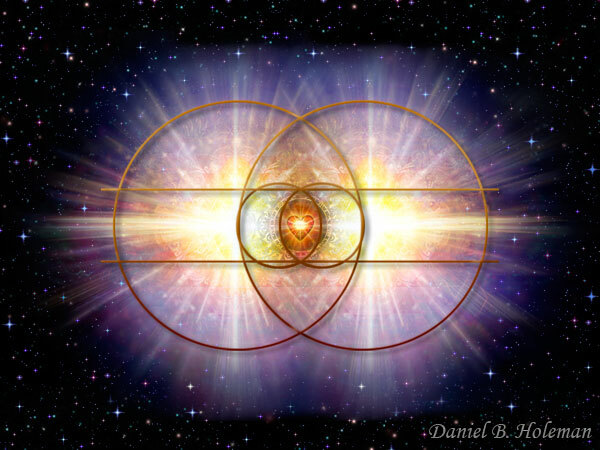 The Vesica is the almond shape that is created by the overlap of the two circles. How fitting that it is the shape of the birth portal, symbolizing the Great Mother. It is also the shape of a fish which symbolizes fertility and abundance. 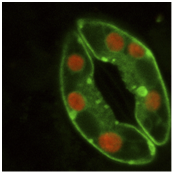 Below is a photo of a plant stoma which enables the plant to “breathe” out oxygen and take in carbon dioxide; oxygen being the vital substance of life on Earth. The duality represents contrast, inequality, contention, friction, and separation; as there is a constant tug and pull from both sides. For such is the divine nature of all things. There must be both growth and limitation, darkness and illumination for existence. Life and Light come from death and darkness. The seed germinates in the darkness of the compost. We are formed in the darkness of the womb. Stars are born out of the darkness of space. There is often a third element In order to achieve balance between the two extremes. 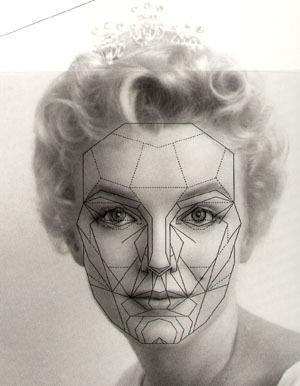 From the Dot to the polarity of the line we progress to three lines which make a surface. 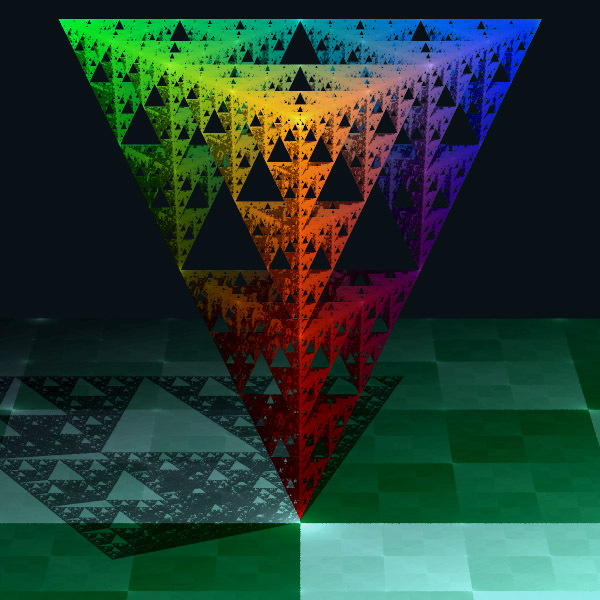 The number three represents the first perfect structure – the Triangle. The triad represents area, structure, and strength. The Three bridges the gap of the two extremes of the Duality bringing all into Unity. As the Keystone reconciles the opposite tensions of the polarities in the archway, the Three becomes one creating a beginning, a middle, and an end. This is the basis for all life in this dimension. In addition to being a symbol of strength, the upright triangle symbolizes illumination and clarity. The two lower points represent the duality of the material illusion. The lines converging at the peak symbolize enlightenment, one-ness of mind, higher thought and inspiration, which develops into cosmic consciousness and Gnosis. 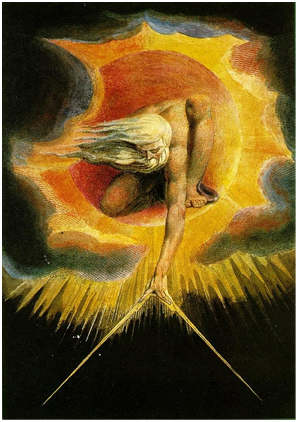 Spiritually, the Third in the Trinity is the archetypal Child/Old One, the Logos, the offspring of Spirit and Matter. It is the Mediator and the Peace Maker who stands as a bridge between the microcosm and the macrocosm; the conduit between Heaven and Earth. 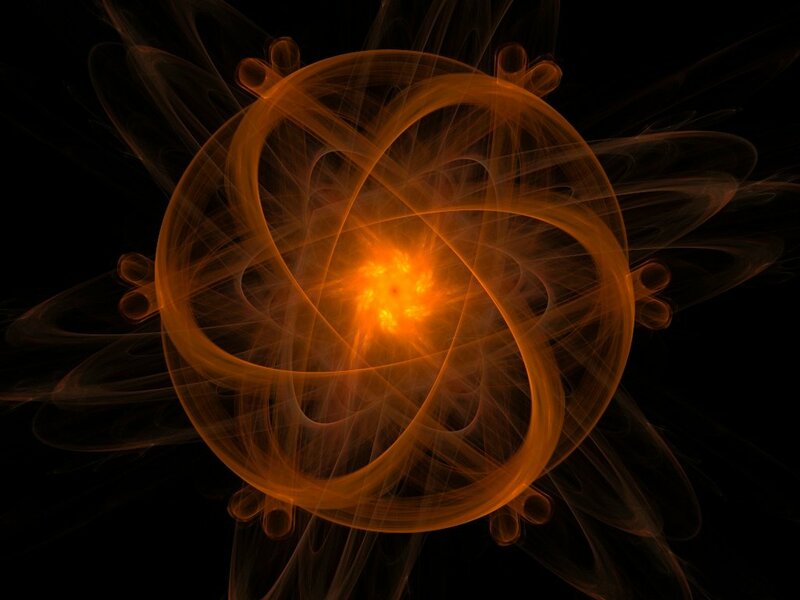 It is the neutron stabilizing the movements of electron and the proton in the atom (the Adam); and the catalyst which brings together the soul (sulfur) and matter (salt) in the alchemical Wedding. He is also known as the Spirit of Mercury, Hermes, Thoth, and Enoch; messenger of the gods. 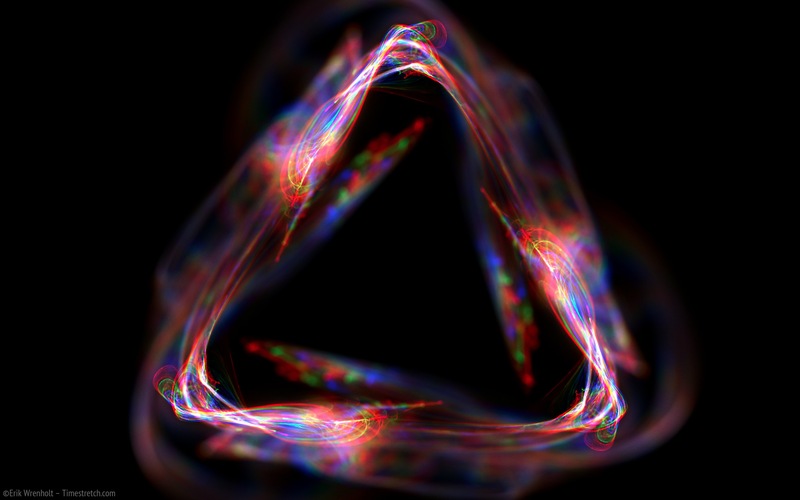 When the surface of the Triad is multiplied the first three-dimensional object emerges. 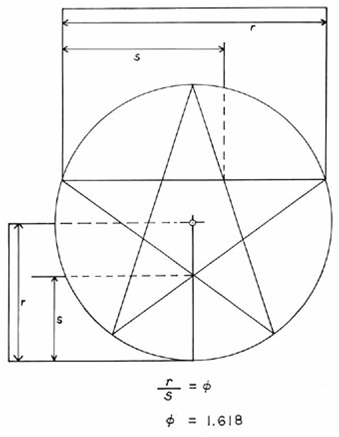 With four sides, the tetrad is the first symbol of volume or depth. Four being a female number represents solid matter (mater). It is the vessel of all life as we know it in the third dimension. 2+2=4 and 2×2=4 so it is a product of equals. Four symbolizes both the Square and the Cube. 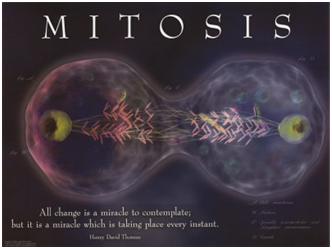 Within 24 hours of conception the future embryo contains four cells, clumped together in a microscopic tetrahedron. 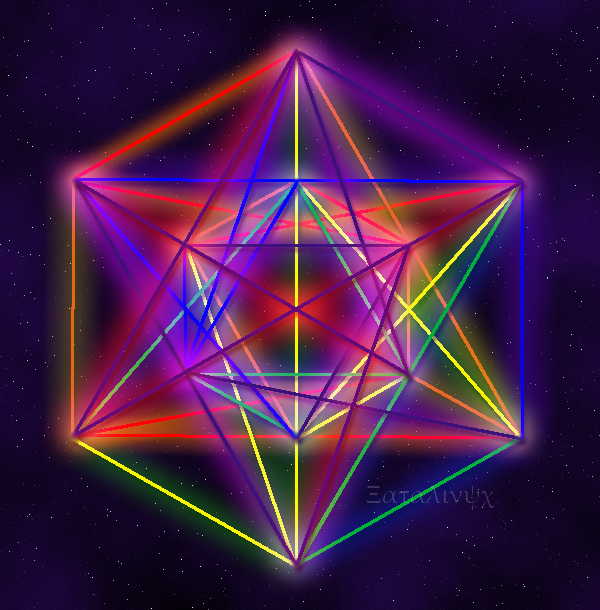 As first of the Platonic Solids, The tetrahedron symbolizes fire or plasma, intuition and Divine thought. Composed of four Triangles, the tetrahedron is the marriage of the Three and the Four; as the Tetraktys, expresses the four levels of reality from the point at the top, the line of polarity, the divinity of the Three and the four elements. It also expresses the perfect harmonies of music – 1:2 (the octave), 2:3 (the perfect fifth), 3:4 ( the perfect fourth). The Square has four sides and four corners symbolizing the four elements, four cardinal points, the four states of matter, the two solstices and two equinoxes of the four seasons. These are all manifestations of our earthly existence. 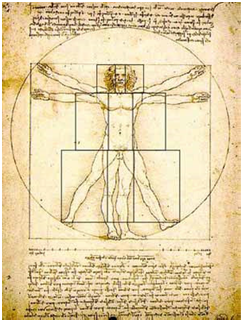 Therefore, the Square represents Earth and stability while the Triangle represents the Divine Spirit and strength. A Square contains two Triangles further demonstrating that the Divine One was doubled in order to manifest the material plane. With this built in Divinity in mind, we find that the diagonal of a square whose side is 1, is the square root of 2. 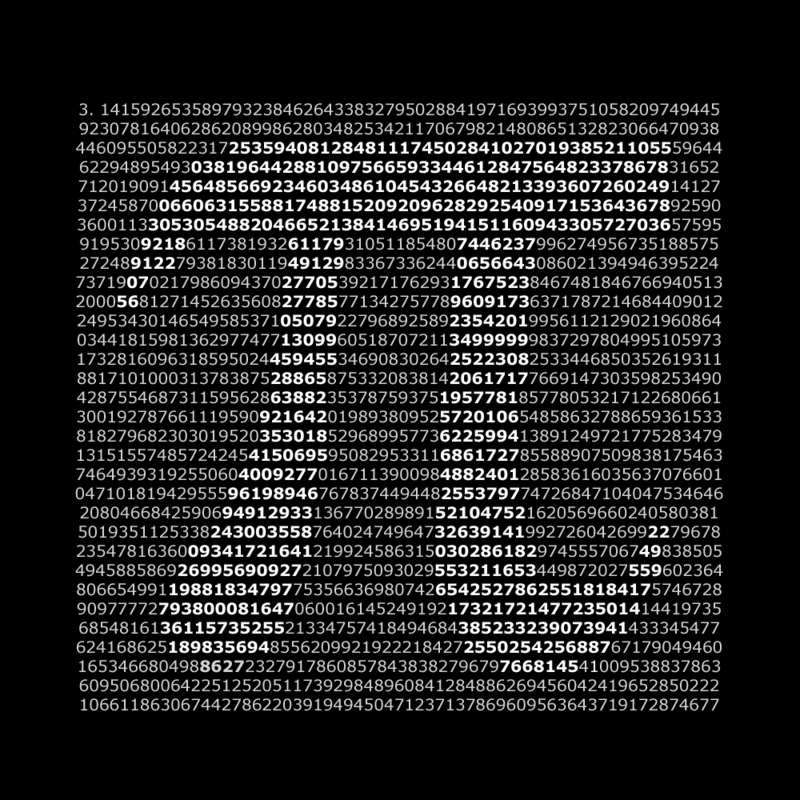 1.4142135624, an irrational number or a decimal number which never ends and never repeats. That means it is infinite (∞) which links the Square to the spiritual. So while the square represents the physical, it contains the spiritual. 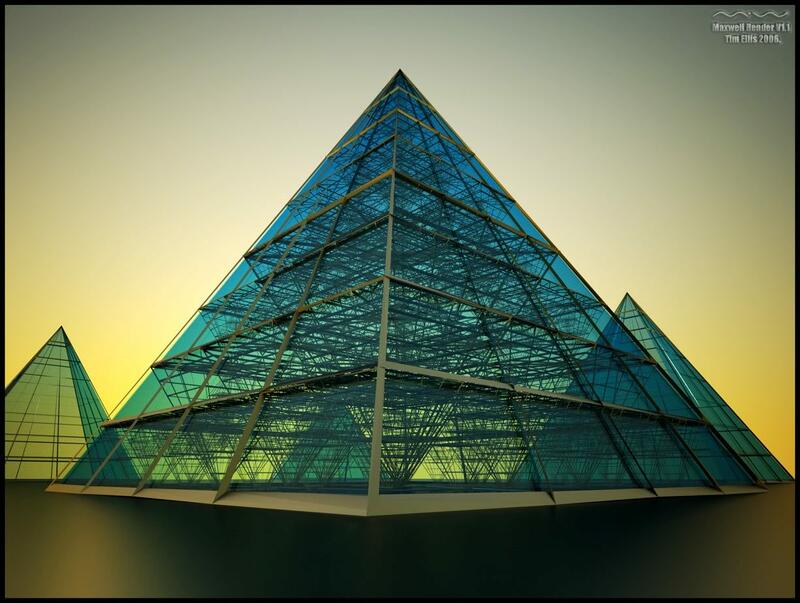 Just as the three sides of the Great Pyramid combine with the four sides of the Base the Square is combined with the Triangle in other sacred architecture and ritual apparel. 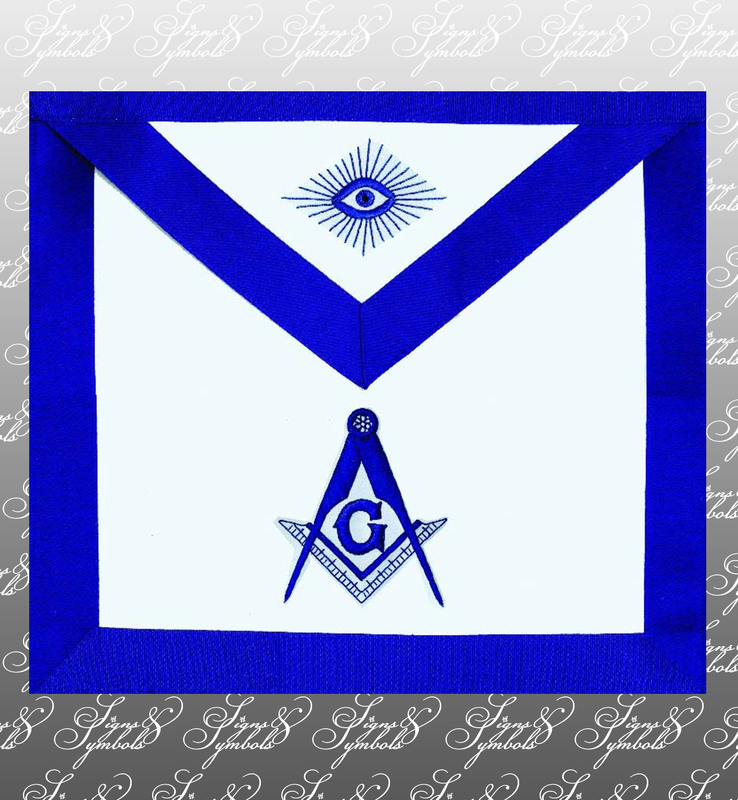 As with many Roman and Greek style buildings, the Masonic Apron, for instance, is a symbol of the power of the divine (3) over the material (4). Five, the first prime number. Is considered a symbol for life, mankind, and fertility as the union of the Two (matter) and the Three (Divine Spirit) produce physical life here on earth. 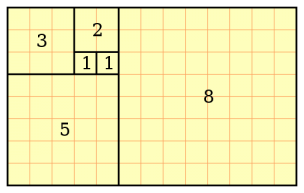 Two and Three are also part of the Fibonacci Sequence of numbers that determine growth patterns in nature. 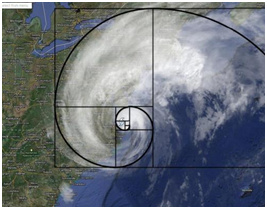 These spiral growth patterns, also known as the Golden Ratio, are the same in plants, humans, animals, galaxies and even hurricanes! The lines in The Pentagram divide each other in the same ratio, which may be why Pythagoras considered the Pentacle an emblem of perfection and a symbol of the Universal Man. It was called the “Pentalpha” by Pythagoreans, who used it as a symbol of recognition during persecution. “Pentalpha” means “5 Alphas”. 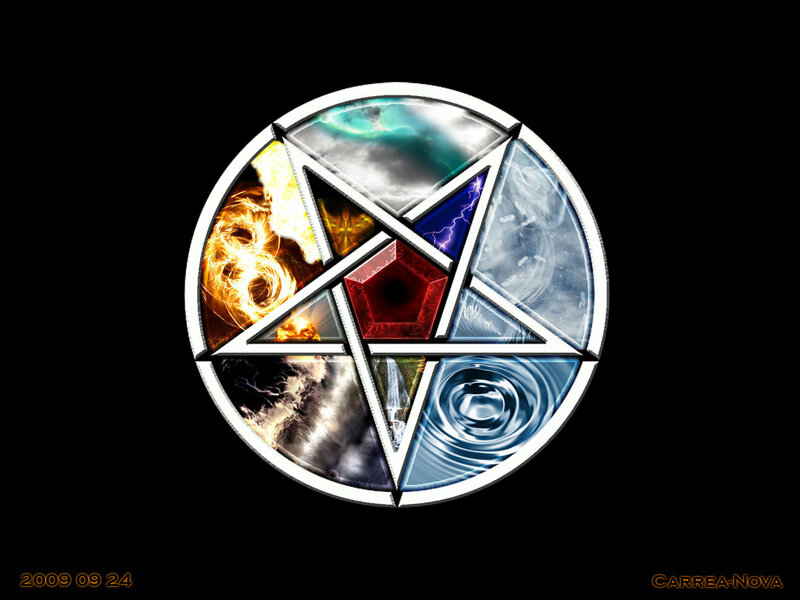 The Pentagram symbolizes the Macrocosm as the four elements plus the Quintessential Spirit. 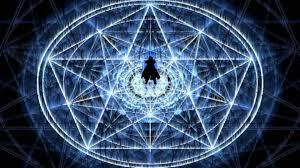 Also the upright Pentagram can be seen as divine because the Three points of the Trinity are on top. Although many see the reversed Pentagram as an evil symbol, it did not start out that way. The Sumerians and Babylonians saw the pentagram with two points on top as an emblem of the Great Mother and female aspect of nature. It was also used as a symbol for Pan, the two points representing his horns. Pan was a god of nature, fertility, regeneration and earthly pleasure. And many Christians believe that the Pentagram refers to the Five wounds of Christ. The Pentagram is a perfect symbol for the Microcosm of the universal man. Man has five fingers on each hand, five toes on each foot, and five senses. Therefore it is used as a talisman for health and longevity.